Last week we posted about a money-sniffing dog. 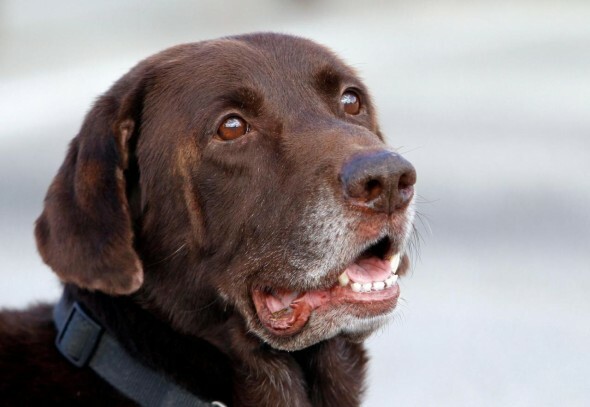 This week a drug-sniffing dog named Franky steals the spotlight. His nose picked up the scent of marijuana inside a private residence and the home owners are claiming the sniff was an invasion of privacy. The legal case started in Florida but is now making it’s way to the Supreme Court. Justice may be blind, but Franky certainly hope she shares his good sense of smell. This entry was posted on Tuesday, January 3rd, 2012 at 1:41 PM. It is filed under Blog. You can follow any responses to this entry through the RSS 2.0 feed.